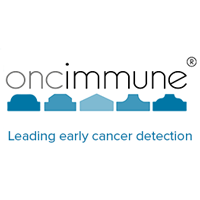 Oncimmune Holdings plc (LON: ONC), a leader in the development, manufacture and commercialisation of personalised immunodiagnostics for the screening, detection and care of cancer, has today announced that it has signed an exclusive agreement for the distribution of its EarlyCDT-Lung test kit in Portugal with Sabartech S.L., its existing distributor in Spain. The agreement includes a minimum sales commitment of £700,000 over 5 years. Every year in Portugal approximately 5,300 new cases are diagnosed and approximately 4,700 deaths occur from lung cancer. Lung cancer is the largest cause of cancer-related deaths in Portugal. Oncimmune has also extended Sabartech’s agreement in Spain from three to five years, in light of the excellent progress made including the recently secured agreement to sell EarlyCDT-Lung as a screening test for the early detection of lung cancer through the hospitals and clinics of the Quirónsalud group. The extension adds a further £1.8 million of minimum sales commitments over years 4 and 5. Click ONC for the full archive.